On March 13, 2019, a 13-year-old pianist from India faced Kukkiwon, a 27-member adult Olympic-level crack taekwondo team from South Korea in a clash for the title of “The World’s Best.” The Koreans dazzled with a stunning display of martial arts. But the little kid on the piano won. The World’s Best. That was the title bestowed on 13-year-old Lydian Nadhaswaram. The competition had 28 contestants (each could either be a solo or a group) drawn from some 36 countries. They came not just from music but from every field of arts and entertainment: magicians, martial arts, ventriloquists, singers, musicians, acrobats, stunt artists, and so forth. They were of all ages, and their talent was astounding. Lydian cleared the audition round by playing Rimsky-Korsakov’s The Flight of the Bumblebee at three tempos, the third (325 beats per minutes) twice as fast as the piece is usually played. In the second round, the Battle Round, he played an excerpt from Chopin’s Fantaisie Impromptu and followed it with Mozart’s Rondo Alla Turca (Turkish March) played blindfolded. And that took him into the third round, the Championship Round. For the Championship Round, Lydian put together a medley of distinctive themes from Hollywood movies: Hedwig’s Theme from Harry Potter, and the themes from Mission: Impossible, Jurassic Park, and Superman. The highlight of his recital was when he played Harry Potter and Mission: Impossible simultaneously, one with the left hand and the other with the right. Why pick these two to perform together? Lydian explained that this demanding competition was a search for the world’s best. Playing two melodies simultaneously with two hands was impressive by itself but Lydian wanted to push it a notch higher. The Harry Potter theme is written in 3/4, one of the common time signatures – for instance, waltzes use this. But Mission: Impossible has an oddball time signature, 5/4. The grouping of notes cannot be divided equally within the bar. In effect, Lydian flawlessly played a tune in a regular time signature in conjunction with another in an irregular time signature at the same time. “I had to make it as difficult for myself as possible, and then accomplish it,” Lydian said. Lydian’s piano teacher Augustine Paul, music director of the Madras Musical Association, says that Lydian’s sense of rhythm is exemplary. Lydian started drumming at 23 months and excelled on the drums; he plays a variety of Indian percussion instruments as well, including the tabla, mridangam, darbuka, kanjira, and thappatai. All those years of percussion have instilled into him an innate sense of rhythm and it helps him no end on the piano – which Augustine Paul described as but a stringed percussion instrument. There is a widespread belief that film music is lowbrow and classical music is the highest form of music there is. But boundaries can be, and are, crossed. As Lydian and his sister Amirthavarshini know, composers like Ilayaraja and M.S. Viswanathan have effectively used Carnatic ragas in their film songs. Three of the four themes in Lydian’s medley (Harry Potter, Jurassic Park, and Superman) were composed by John Williams, as was the theme from E.T., which Lydian played in an earlier appearance. Williams is classically trained (a Juilliard alumnus) and has written many concertos and a symphony. His film scores are influenced by western classical music, which perhaps struck a chord with Lydian. The Jurassic Park theme is stately and majestic; befitting music to herald the return of the gigantic dinosaurs to the planet. The theme is first heard when a team visits the park for a preview and sees a brachiosaurus, one of the largest dinosaurs. There is a sense of breathtaking awe, both at the sight of the gargantuan beast and the realization that it has been raised from the dead. Then more dinosaurs are spotted. In keeping with this pattern, the melody starts softly and repeats itself, and then more instruments are added making the music elaborate. One is again reminded of Tchaikovsky and the ornamental orchestration of 19th century classical music. Think of the opening of the Swan Lake Suite (Op 20a; 1st movement) – the regal music, the repetitive melody, the orchestral build-up. In the march section of the Superman theme which Lydian played, one can sense shades of Wagner. Wagner’s music dealt with the heroes of German and Norse mythology, particularly in his magnum opus Der Ring des Nibelungen in which the famous The Ride of the Valkyries occurs. This kind of music is a prelude to a story on a mythic scale – and there is a lot of mythology in Superman, though it is considered a kids’ film. Many phrases begin on a low note and soar to end high. Yet there is also the uneasy hint of an opposing force of some kind. In interviews that he gave after the show, Lydian expressed a desire to compose music for Hollywood. He clarified that he meant animation movies. While he can tackle and master complex classical music pieces, he is prudent about venturing into another medium: film. “I’m only thirteen,” he said, explaining that live action movies for an adult audience may contain scenes with nuances he might not fully understand, and his music might be diminished as a result. He can grasp animation movies inside out, so that would be the place to start composing motion-picture music scores if he wanted to try it out. After Lydian’s second appearance on the show where he played an excerpt from Fantaisie Impromptu and Rondo Alla Turca, after lauding him judge Faith Hill asked, “What is the place you most want to play in your life?” The answer left her and others in the audience visibly slack-jawed and open-mouthed. Imagination is the very fountainhead of creativity and innovation, and not just in the arts. If nobody had dreamed that one day man could step on the lunar surface, Neil Armstrong and Edwin Aldrin would never have got there. Who is to say that a bubble containing atmosphere cannot be erected on the moon, a dome in which concerts can be held? Who is to say that this cannot happen in Lydian’s lifetime and that he cannot be the first musician on the moon? Speaking of imagination, Beethoven never called this piece Moonlight Sonata. That name (Mondscheinsonate) was bestowed on it five years after Beethoven’s death by the German music critic Ludwig Rellstab, who compared the first movement to moonlight shining on the waters of Lake Lucerne in Switzerland. The name stuck, and ever since, countless listeners through the power of suggestion have pictured the moon and moonlight while listening to it. The World’s Best team certainly did not rein in their imagination. A small deck stage with a piano was set up on the main stage with a blanket of clouds below, a gigantic moon behind, and on the LED screen backdrop, the beauty of outer space – stars, planets, galaxies, the Milky Way – in short, the view one would get from the moon. Silhouetted against the moon, Lydian played a section from the third movement of Beethoven’s Moonlight Sonata. But Lydian had more. As the audience burst into applause, he announced that he had a surprise for them. The spotlight lit up a set of drums on the main stage. His recital had been recorded; when it was played back, he accompanied himself on the drums ─ in effect, playing a duet with himself on the piano and the drums. “I told them that I would drum three different time signatures at the same time: 3/4 with the left hand, 7/8 with the right, and 4/4 with the legs,” Lydian said. “And that I’d keep changing these. For example, with both hands I’d play 7/8 and with the legs 3/4. I played a lot of very tough patterns. Nobody was sitting. Everybody was dancing to my beat.” (Lydian’s comments were edited out of the video below, released by CBS). The piano croons a sonata in the moonlight, and the drums reply. And that was just what Beethoven did when he composed Moonlight Sonata and its companion piece. Beethoven hewed new paths with these two Opus 27 piano sonatas, each of which he called a “Sonata quasi una Fantasia,” or sonata in the manner of a fantasy. A sonata has a definite musical form, with set guidelines governing its structure. A fantasia is looser, more of a free flow. The first of the two, Sonata No: 13 (Opus 27; No 1) illustrates how Beethoven juggled with form. This sonata is played continuously without pauses between movements, just like most fantasias. The movements are not in the usual order for a sonata. As the video below shows, the opening movement (usually fast in sonatas) is a slow and whimsical Andante followed by a lively Allegro which reverts to the Andante as though the interruption never happened – but now everything the right hand does is offset half a beat later. And so it continues. The movements are in sharp contrast to each other, such as in a fantasia. Such demarcations are not quite as acute in Sonata No: 14 (Opus 27; No 2 – the Moonlight Sonata). Still, it does not follow the traditional sonata structure of its time (fast–slow–[fast]–fast). The first movement is slow and very quiet (pianissimo), and the composition builds up to a ferocious third movement (presto agitato). Beethoven deviates from convention by making the last movement the most arresting of the three and peppers it with many fast arpeggios and broken chords, strongly accented notes, and fast alberti bass sequences that leap between right and left hands at various times. It is not for the fainthearted. To allow for time constraints, Lydian played an excerpt from this third movement – and then outdid himself by adding a complex drum part to an already intense piano part. Lydian planned out his performance in his Los Angeles hotel room. It was not possible to get a drum set there, so instead he played Moonlight Sonata on his laptop and worked out the drum patterns that would match the music using the keys on the laptop, something that would blend in with Beethoven’s music, nothing wild or funky. His first performance was onstage for the semi-finals without any rehearsal. When he was done, judge Drew Barrymore called him “a mad genius” – the exact term frequently used to describe Beethoven. With his two Opus 27 sonatas, Beethoven was remoulding the sonata form and unleashing a musical revolution. And by adding a drum component of his own design, Lydian has added a new and distinctive element to the composition. Two “mad geniuses” in their own way were shooting for the moon. Through his previous performances, Lydian had brought various emotions to the stage such as desperation (The Flight of the Bumblebee), serenity (Fantaisie Impromptu excerpt), and vigour and heroism (Rondo Alla Turca and the Superman theme). Now he evoked affection and romance through Beethoven’s Bagatelle in A Minor, better known as Für Elise (For Elise), which title is based on the inscription Beethoven wrote in his own hand on the top of the score. Beethoven composed it for Therese Malfatti, to whom he was attracted at the time and whose nickname, very likely, was Elise. Lydian followed Für Elise with Chopin’s Étude in C-Sharp Minor: Op 10 No 4, a technically demanding piece. Chopin’s set of études in Op. 10 were trailblazers in the expansion of keyboard technique and artistry. In 2018, Lydian had participated in the Manhattan International Music Competition, in which he was recognized with the Young Virtuoso Award. He checked out what the grand prize winner had played. It was Chopin’s Étude in C-Sharp Minor, a very fast presto con fuocco with sixteenth notes in a continuous stream (perpetuum mobile) involving both hands. American music critic James Gibbons Huneker called it a composition that “bubbles with life and spurts flame.” Lydian set about mastering the piece. Chopin’s Étude in C-Sharp Minor, Op 10; No 4. “Fantaisie Impromptu is a piece I love. It’s a masterpiece,” Lydian said. “It’s so moving, so emotional, especially the middle part and the ending. And there is a definite storyline in this piece. The music tells a story. I learnt this composition by listening to it. I had not enrolled for piano classes yet and didn’t know how to sight read. 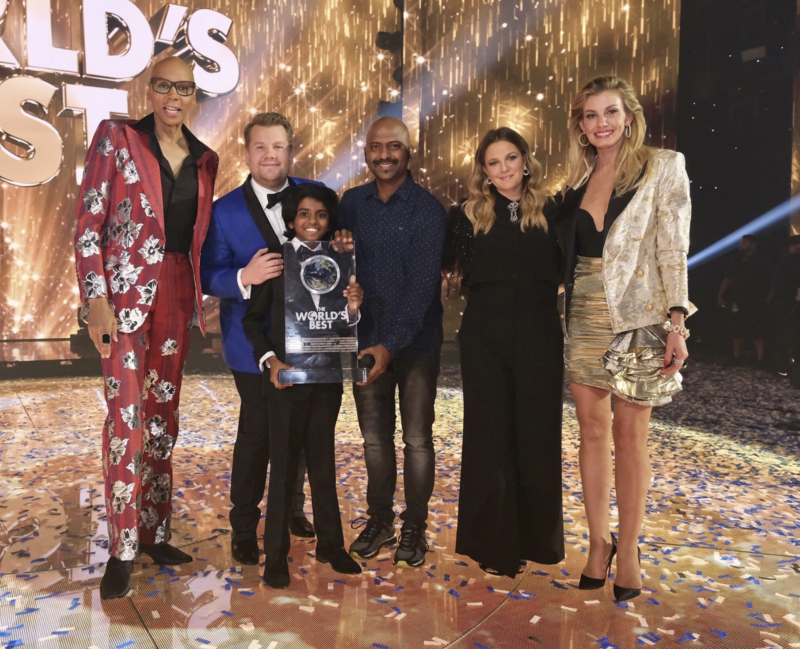 But after this went viral, we started posting other videos of my piano playing.” Those videos were partly instrumental in Lydian’s appearance on The World’s Best show. But Fantaisie Impromptu (which, by the way, was Chopin’s answer to Beethoven’s Moonlight Sonata) was not the first Chopin composition that Lydian learnt. The first was Grande Valse Brillante. Lydian’s father asked Lydian to learn it, saying that if he could do so within three days, Lydian would get the iPad that he wanted. Although it was Lydian’s first technically complex piece and he struggled to learn it by ear, he played it in the stipulated time and shocked his father, who had not seriously expected this and probably had only said it as an incentive for his son to practice. But Dad kept his word and Lydian got his iPad. It was on this iPad that the video of Fantaisie Impromptu that went viral was shot. Chopin also figured in Lydian’s Grade 8 piano examination conducted by Trinity College, London. Candidates for this exam are usually college-age or older; Lydian took the exam when he was ten. Candidates study under music educators approved by Trinity, and Trinity music professors fly in from England to conduct the exam. His Trinity examiner wrote in her report: “This was played with both delicacy and gusto and the Chopinesque rubato was managed with great aplomb giving the music both shape and interest throughout. A stylish and accomplished performance.” Lydian was not only the all-India topper in this exam, but also the winner of multiple awards: the Cicely Goschen Shield, the Amy De Rozario Cup, the P.P John Memorial Prize, and the Rajagopal Menon Prize. Chopin’s Valse du Petit Chien (Waltz of the Little Dog) Op 64; No 1. For the grand finale, Lydian pulled a feat that has seldom been seen: playing simultaneously on two grand pianos. One was black and the other white, complementing the colour of the piano keys. The floor was also black and white, each piano standing on its opposite colour. Even though he had decided on what to play (Beethoven’s Für Elise and Chopin’s Étude in C-Sharp Minor), how to best present it onstage was a quandary. His piano and drum duet in the semi-finals had been spectacular. How could he top it or at least equal? Such things counted in a show like The World’s Best. In his hotel room, he and his father discussed various ideas and also scoured the Internet. And serendipitously, he stumbled on some videos of one of the greatest jazz pianists ever, Hazel Scott. A child prodigy from Trinidad who moved to New York, she was famous in her day, even having her own radio show when in high school. Today she is all but forgotten when she should be up there with the likes of Ella Fitzgerald, John Coltrane, Oscar Peterson, and Nat King Cole. In one video, she played two grand pianos simultaneously. Lydian knew this was what he must do. On The Ellen Show, a still photograph of Lydian on two grand pianos was shown. When Lydian confirmed he played them simultaneously, Ellen commented, “You’ve got to have two pianos in your house to learn how to do that. You’ve got to have a big room there.” Lydian laughed away her comment. But it left some with the impression that he lives in a palatial home in Chennai with two grand pianos. The truth could not be more different. For years Lydian played on a second-hand upright piano. Uprights have their limitations, and serious pianists must move on to a grand. But most Indian families, Lydian’s included, cannot afford a grand. Just when it seemed that Lydian’s aspirations to becoming a concert pianist were tanking, he was gifted a Steinway baby grand in an extraordinary act of philanthropy by Michael Novogratz, the New York financier and arts patron. But here in his hotel room, he only had an electronic keyboard to practice with. The finals were just two days away. He requested a second keyboard, aligned the two like Hazel Scott’s pianos in the video, and practiced. So the first time that he actually played two grand pianos together was onstage in the competition’s finals. But from his calm and collected demeanour, nobody would have guessed it. The rest, as they say, is history. In her book Hazel Scott, biographer Karen Chilton recounts a remarkable incident. When Hazel Scott was eight, her mother took her to audition at The Juilliard School of Music. The minimum audition age was 16, so how she finagled an audition is a mystery. She chose a piece she liked: Rachmaninoff’s Prelude in C Sharp Minor. Because her fingers could not reach the full octave of the minor chords in the composition, Hazel played them as sixths. The door of the room was open; the music floated out and reached the ears of the irascible Dr. Frank Damrosch, the German-born founder of Juilliard and a stickler for maintaining the purity of classical music. His goatee quivering in fury and his pocket watch swinging, Damrosch strode into the audition room ready to shred the miscreant – and stopped in his tracks when he saw who was playing. Scott’s feet were dangling below the stool well above the floor. The words ‘genius’ and ‘prodigy’ are often used interchangeably – but they are not synonyms. A prodigy is one who displays exceptional skills in a particular field at an early age. Consider a girl who can play the violin beautifully at the age of six. But when you hear her play the violin at age 26, there is little difference. Her playing sounds exactly the same. All that ‘prodigy’ means is that a person has shown the mastery of something at a much earlier age than it takes most people. A genius surpasses others in intellectual and creative capacities. A genius does not necessarily have to be a child. A genius is one who makes a significant mark in his or her field, and can be considered as a creator of new knowledge for breaking away from the prevailing structure. This is why a genius is often associated with originality. Einstein, Newton, Bach, Beethoven, Leonardo da Vinci, Michelangelo, Archimedes, and Shakespeare are good examples. Like Hazel Scott, Lydian has a penchant for playing difficult pieces if he takes a liking to them. Liszt’s La Campanella was one. Similarly, he was taken by Hungarian Rhapsody No:2 after first hearing it – of all places – in a Tom and Jerry cartoon. People told him such pieces were impossible for his small hands, that he would be better off sticking to Bach and Mozart. They might as well have asked him to stick to “Twinkle, Twinkle, Little Star.” And his technique for compensating for his lack of reach is exactly the same as Scott’s – he goes for a key within his reach that sounds closest to the one he cannot get to. Mission: Impossible ─ Small hands and tiny fingers are no hurdle.